Today was a special day. 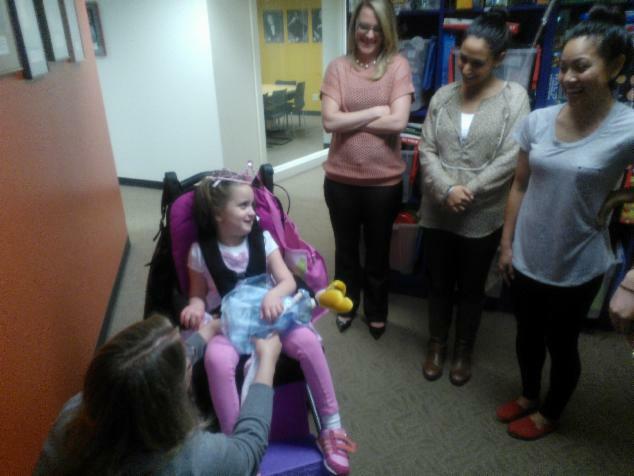 Isabella got to go and actually meet some of the people behind the Wishes. We wanted to pay a visit and say "Thanks!" 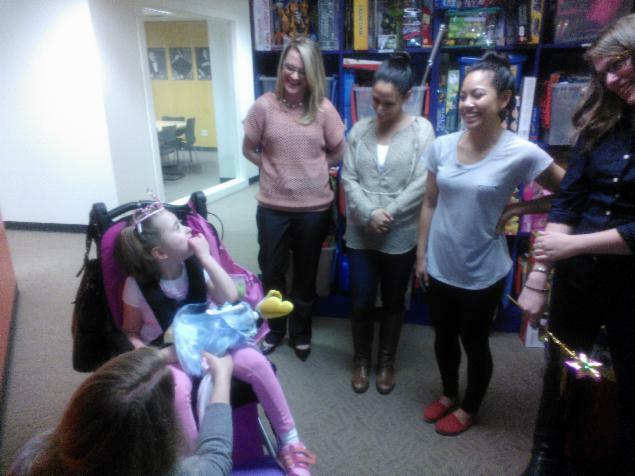 to some of the "Wizards behind the curtain' of Make-A-Wish. 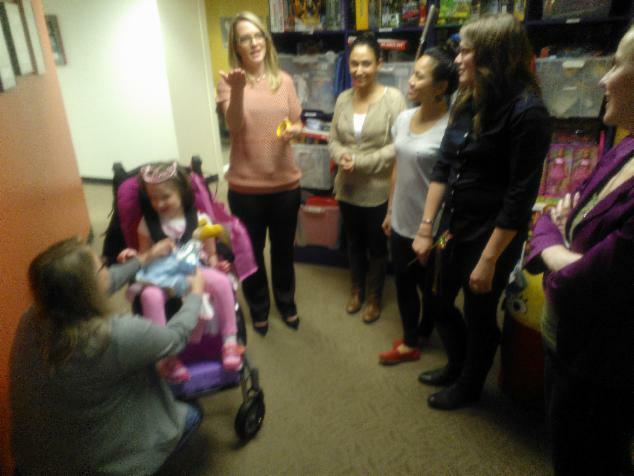 Isabella was pretty excited about her visit, and didn't know exactly what to think about all of the buzz her presence in the Make-A-Wish Alaska and Washington offices created. 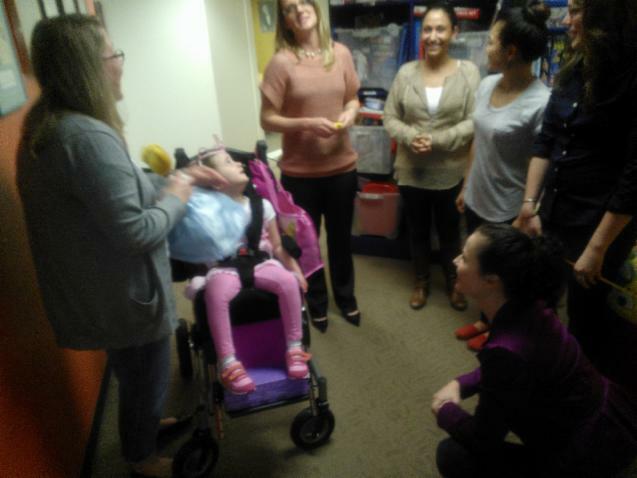 Many thanks to Meredith, Jeannette, Lindsay, Linh, Juli, Jessica and the rest of the Make-A-Wish team for taking time out of busy schedules to welcome us and show us around! So THIS is where the work gets done? Hmm...time for a BREAK! (Pic Below) Uh oh daddy. She's saying "Here we were busy working, and this guy just disrupts our day!" Seriously though, there couldn't be a nicer bunch of wizards than these! (Pic Below) Did daddy say you were wizards? I'm not sure about what those are, but I know what princesses are! Do you know about princesses? Yep, that's what I thought! Remember - to see all the comments in the forum below, click on "Regular View" in the bottom blue bar! The email addresses of the Make-A-Wish staff have been replaced with admin@issysworld.com because these comments were copied from direct emails. 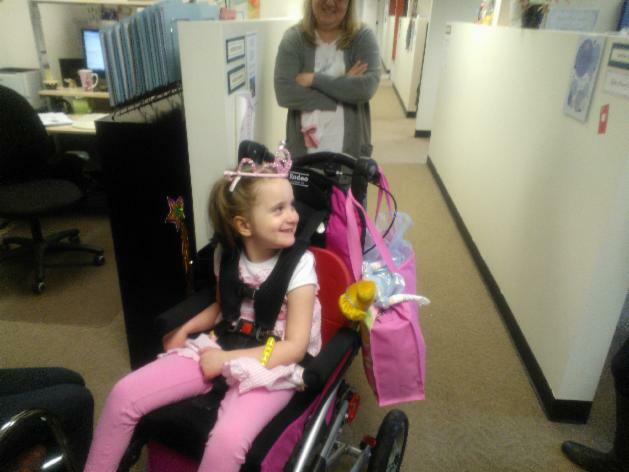 If you need to email them, please visit the Make-A-Wish Alaska&Washington website.